January and February swept me up fluffing my fur and twitching my tail with exciting adventures . 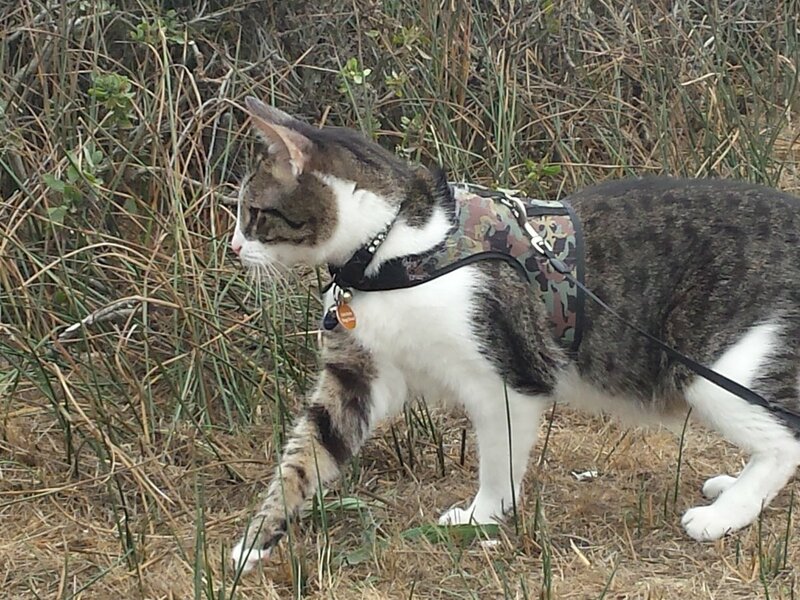 I spent every spare minute prowling the Arizona countryside, enjoying the desert solitude. 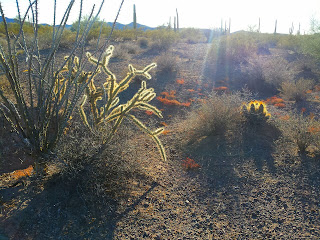 Quartzite will always be my favorite place, but Judy added a little town close to Organ Pipe National Monument called Ajo to her favs list. 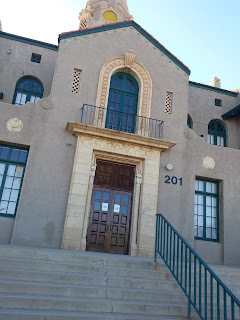 The Curly School in Ajo, Az. has become an artist's retreat. Ajo is a great town to host a retreat. 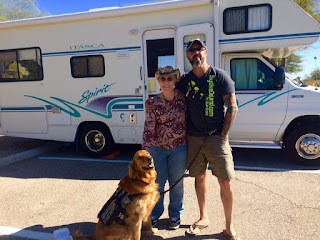 In Ajo, Judy met up with an author friend, Deb Sanders. 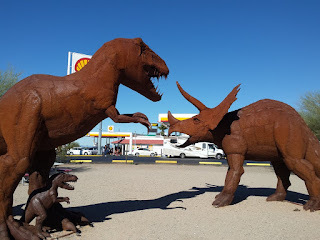 The two of them visited an open pit copper mine and attended a fiddler’s jam session in the plaza as they talked about writing, publishing and marketing while I scratched out the last chapters of my book, ACTIVATE LION MODE. I ignored Judy's jokes about “the cat and the fiddle” and “Hey diddle diddle” when she returned from touring the quaint little town. 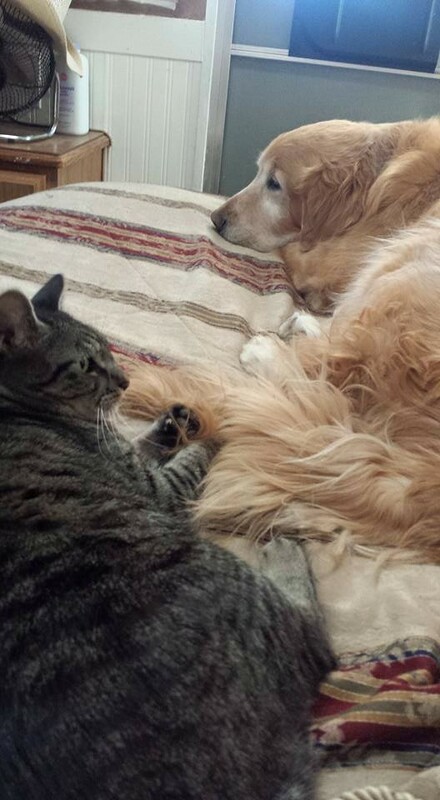 When we moved on to Tucson I said goodbye to Jake, Deb’s kindly golden retriever and Deb’s muse, Johnny Cat. On the way to Tucson, Az. we stopped in Gila Bend and met these creatures. Wow! I stayed safe in the motorhome. But in Tucson, I encountered another golden retriever, Bella, a service dog, whom Judy met several years ago in St Augustine, Florida. 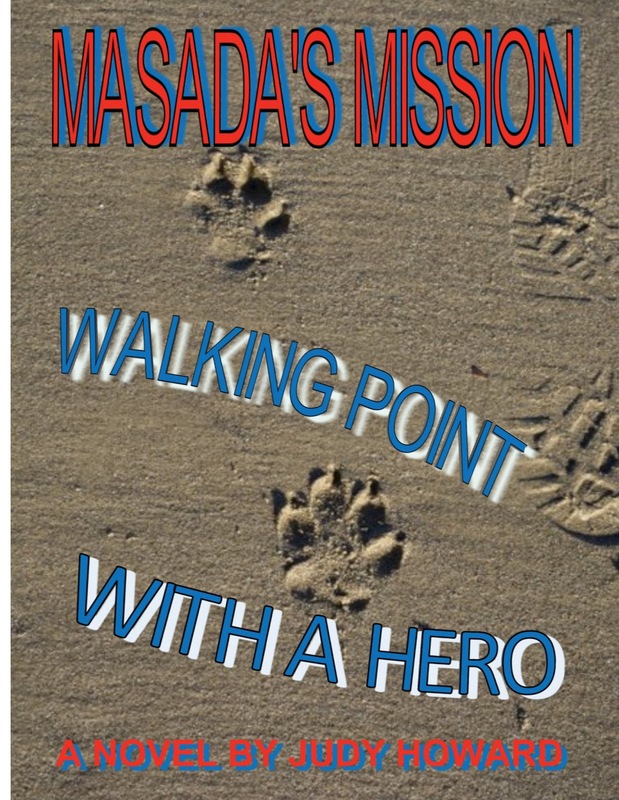 Bella is a graduate service dog from the actual K9s For Warriors training facility in Ponte Vedra, Florida which inspired the fictional K9s For Warriors which is mentioned in Judy’s book, MASADA’S MARINE and also in her upcoming book, MASADA’S MISSION. Bella is kindhearted, too, but, but just like Jake she rushed up to meet me. That is totally improper in my cat book. Bella’s dad Kevin and Jake’s dad Terry explained that their dogs lived with cats of their own. I can’t imagine any cat putting up with such unsophisticated behavior, but then dog's are so unsophisticated. Really? 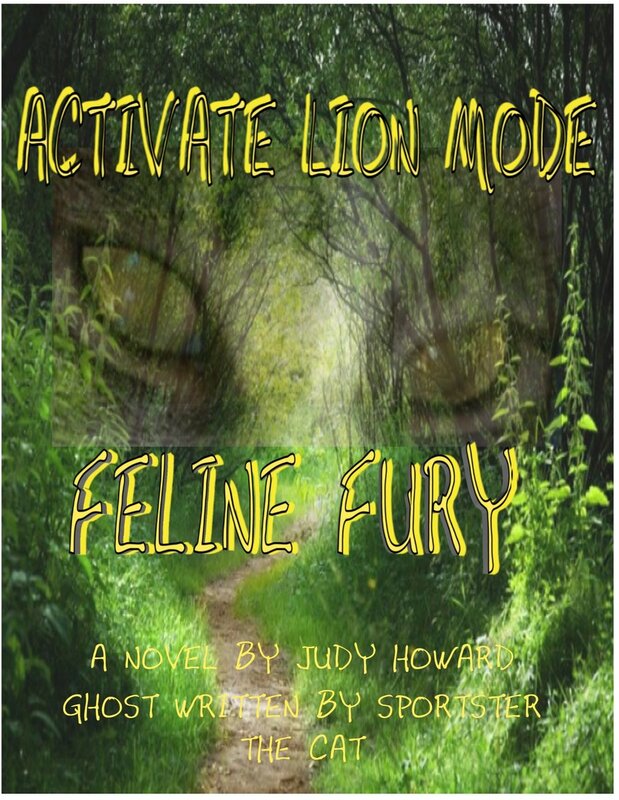 She should know that my days have been full as I wrap up the last chapters of my very first book, ACTIVATE LION MODE, the first book in my first series, FELINE FURY. For days on end, I have pounded my paws against the keyboard. From the time Judy walks away from the computer in the evening and goes to bed until the wee morning hours, I hunch over the keys, study the words on the screen. In the morning, she fixes my breakfast, and takes me for a walk. She’s been catering to me lately, putting extra cream in my coffee and scratching my back a lot more. She’s excited about ACTIVATE LION MODE and can hardly wait to publish it. So to answer her question, I am feeling the callings and hearing voices from past lives. I can't deny it. New story ideas are flashing into my mind even while I’m scratching out the last paragraphs of ACTIVATE LION MODE. I’m possessed. I’m either writing, or thinking about writing. So is this what an author’s life is like? 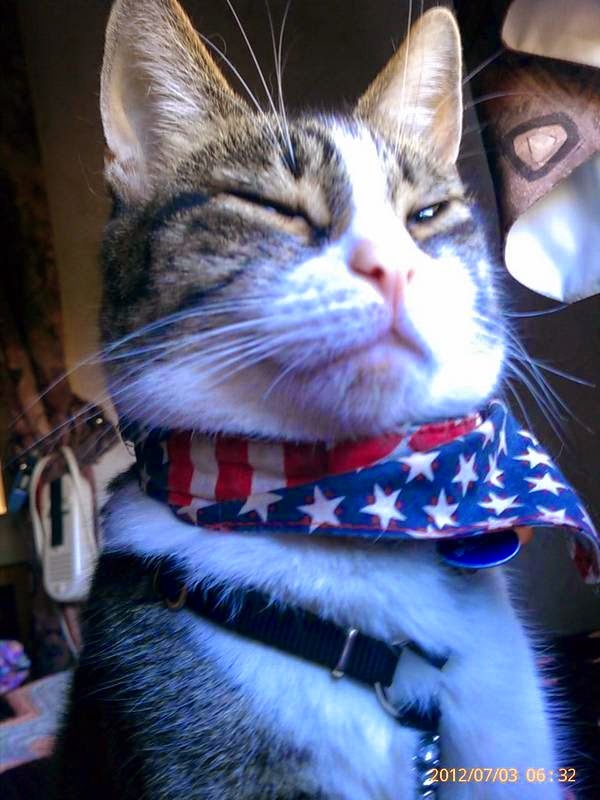 I tweeted Johnny Cat, who assists Deb Sanders, who just published her ninth book titled, . DEAD MEN DON'T TALK. He explained that even though he only assists Deb Sanders, he is exhausted. 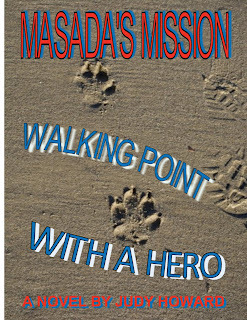 I expect I will find out what living the life of a published writer is all about. 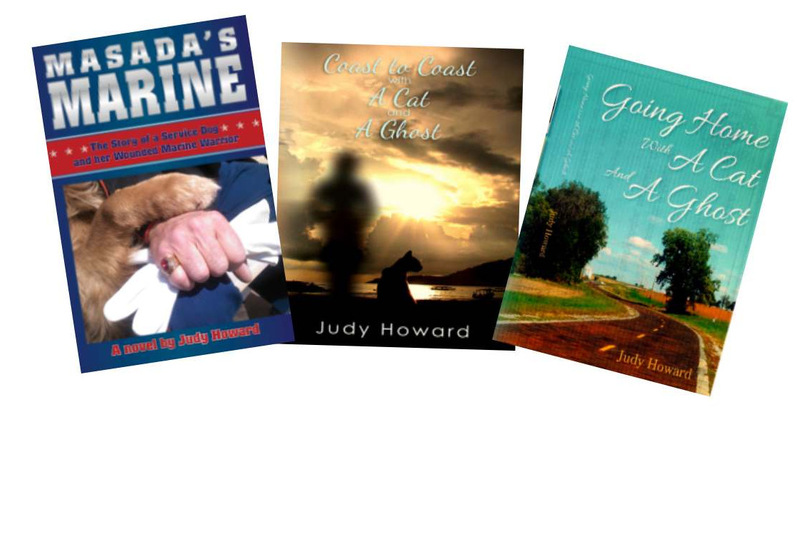 Judy will be attending the second meeting of The Diamond Valley Writers Guild, in Hemet, Ca. 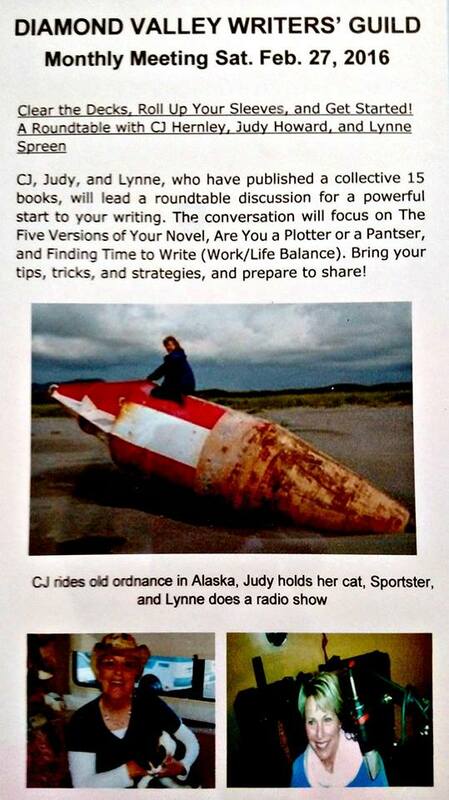 My own, Judy Howard, along with authors, Lynne Spreen and CJ Hernley will be moderators for the roundtable discussion about "Getting Started." This Saturday! 9am to 11am At the Hemet Library. Come join us and pitch in with your questions and suggestions for this roundtable discussion. Thank you all for stopping by and scratching the blog post. Dear Sportster, you have definitely been a busy cat. 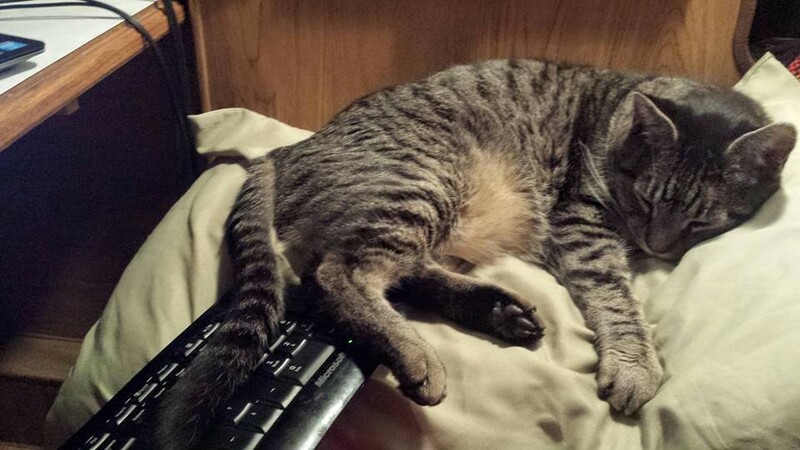 Sounds like you have your paws full managing that workaholic human who lives with you. Maybe give her a back scratch? Hee hee! in this dog eat dog world of marketing and publishing. I see Sportster is back to his old self, calling the shots. Great blog! Johnny Cat just asked if he could have his own blog and I said " no way! " He's pouting. Hey Johnny Cat, tell her " Meow you!" You can come over to the SPORTSTER side. We'll scratch outblogs and sniff catnip all night.